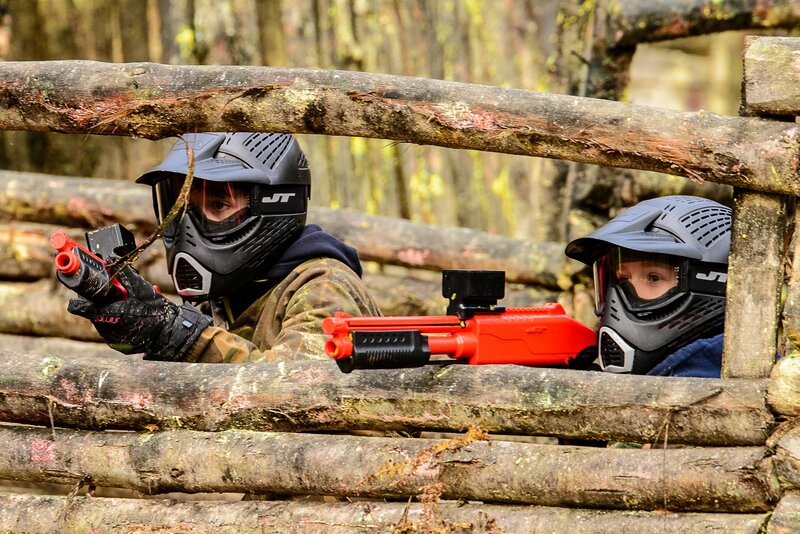 RW Paintball now offers paintball for kids from 8 year olds. 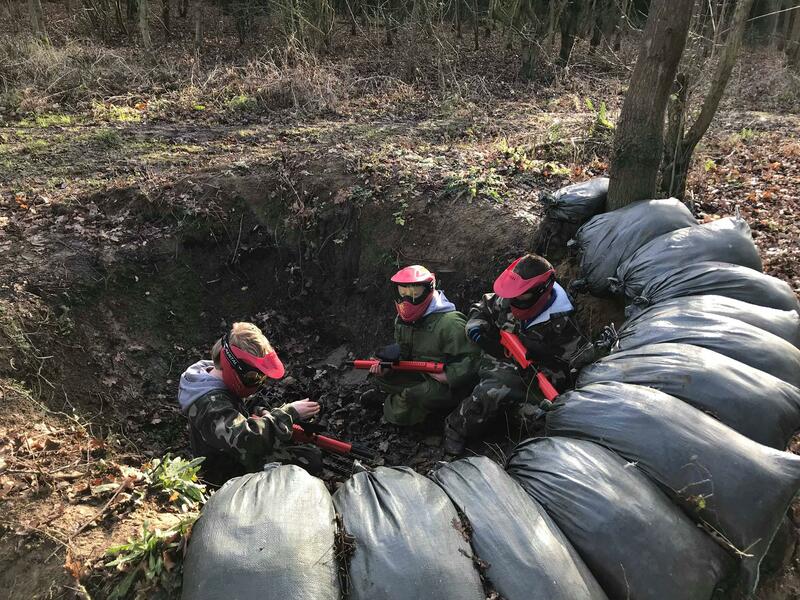 Childrens paintball is available at several of our sites including Basildon, Broxbourne, Bishops Stortford, Crew, Canterbury, Cheshunt, Dorking, Harlow, Hatfield, Longfield, North London & Stoke. Our childrens paintball game, sometimes called mini paintball, is played in a similar way to the adult game. Missions are set and the children play across a number of woodland zones. This game is perfect for younger children from 8 years old. Maximum age varies by site but, at most sites, if your children are in school year 7 and 11 years or older they move into the adult game. See more info on Paintball for teenagers here. Fully included in the package are your low impact paintballs, issued to the children evenly across the games. They play around 8 games over a 2 hour session*. The childrens paintball guns are pump action and designed specifically for the .50 calibre low impact paintballs. This delivers all the adrenaline of adult paintball but none of the pain and bruising. Kids paintball is a great way for your younger children to enjoy all the action of paintball before they reach secondary school age. All you need to bring is gloves and food. Everything else is provided. Water will be available but feel free to bring your own drinks or buy from us on the day. Note: some sites have food available & not all sites provide overalls. 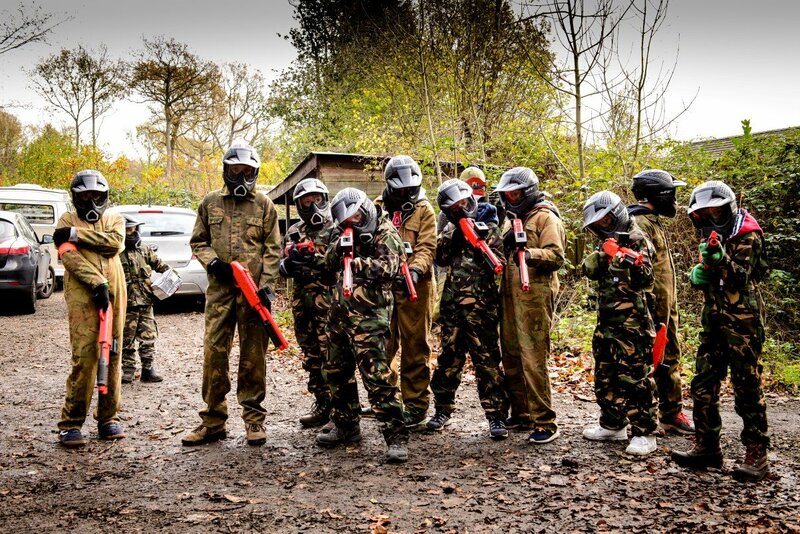 Kids paintball at most of our sites is just £250.00 for 10 players. This is a two hour session after which you are welcome to use our safe zone and bring food/cake. Additional players are just £25.00 each. You pay a deposit of £5.00 per player and £20 on the day. This includes inclusive paintballs given out evenly over the games. Some sites also offer a £300 package including food. This gives you a 2hr session for up to 10 kids including food. Additional children can be added at £30pp. Timings/package may vary slightly based on site (especially Basildon/Wickford & Crew/Stoke). Did you know you can create your paintball party invitation directly from our website. Simply click here and you will be taken to the page on our website where you can create, save and then print or email your invitation. Deposits of £5.00pp upon booking, remaining on the day. Offered at most of our sites sites including Basildon, Bishops Stortford, Broxbourne, Canterbury, Cheshunt, Crew, Dorking, Harlow, Hatfield, Longfield, North London & Stoke. Please remember to bring your own gloves and make arrangements for food. Basildon & Stoke provide food. Broxbourne has a snack van on site. For most other sites we have agreements with local pizza companies who will deliver at agreed rates. *Times May vary at Basildon, Broxbourne & Stoke. Please see packages above for Basildon/Wickford site. Please note: we cannot be held responsible for items left on site so please ensure the children in your group secure their belongings and do not leave anything on site when they leave. 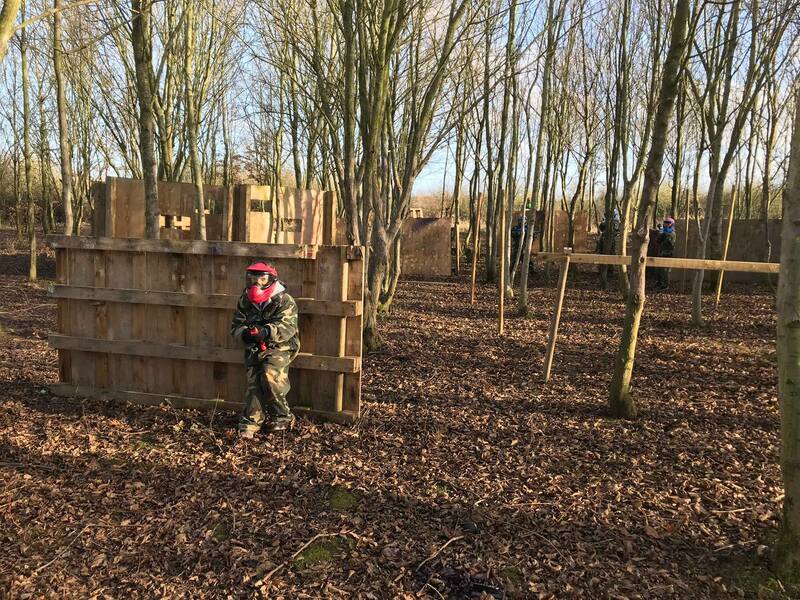 You can pay deposits for Childrens low impact paintball by clicking book now at the top of the page. Or call us and we can book you in by phone. Before paying please read details on our policies and refunds here. Players who do not turn up on the day will loose their deposit! Every player pays a £5.00 deposit at booking stage.